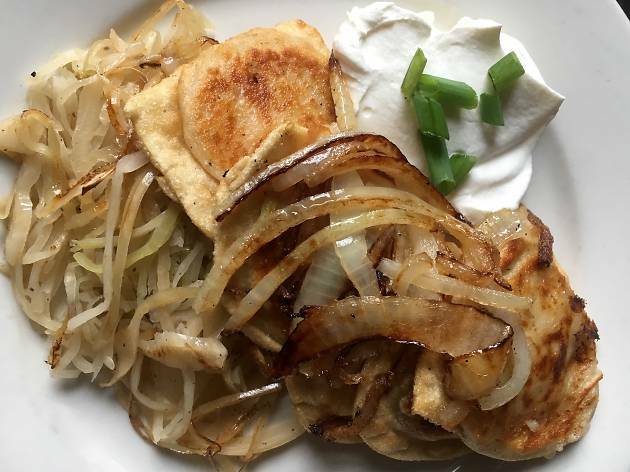 This Port Richmond watering hole and eatery takes its pierogi serious. Don’t believe us? They throw a whole weeklong festival, Pierogi Week, every February that’s dedicated to the filling Polish nosh. That event features 20 varieties of pierogi, offerings that you’re likely to find on the menu at any given time throughout the year. 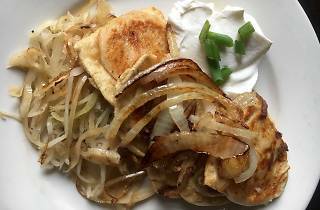 Some standouts include the straight-and-simple potato-and-cheese version, which is boiled, pan-fried and stuffed with cheddar cheese rather than the usual Polish farmer cheese. That’s served with housemade sauerkraut and the prerequisite sour cream. For something a little more off-the-wall, visit in the fall for the Thanksgiving pierogi, which, like its name suggests, is filled with turkey and served with a side of stuffing and gravy.